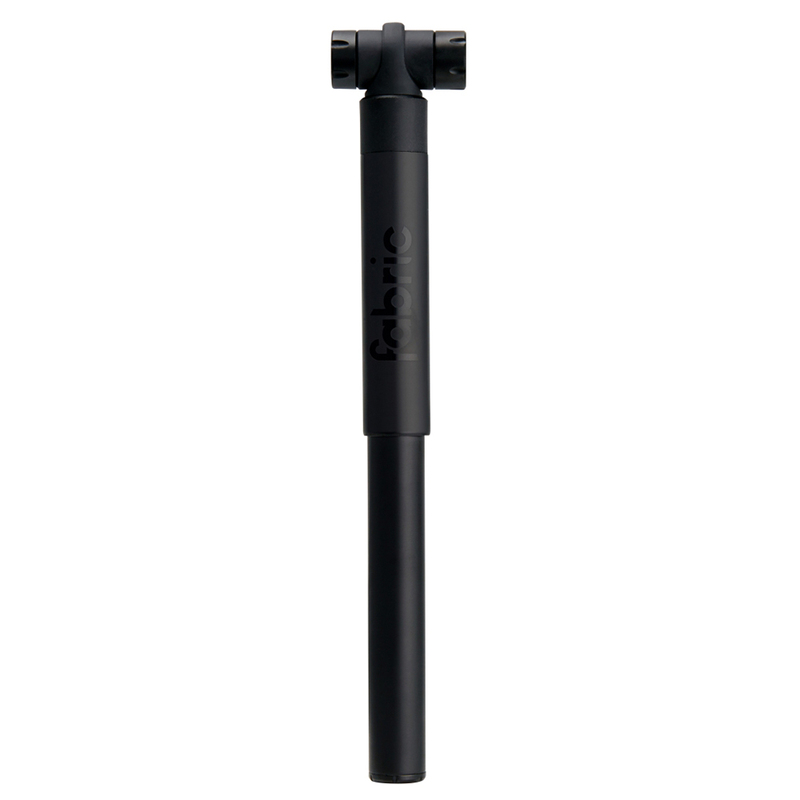 The Fabric Microbar mini pump overs all the benefits of the smaller Fabric Nanobar pump with the increased efficiency of a longer pump – more capacity means less time pumping. The Microbar still fits in your back pocket but also comes with a snap-fit frame mount allowing you to carry this mini pump on your bike if you prefer. Despite its relatively small size the Microbar is a powerful high-pressure pump delivering up to 120psi tyre inflation. With an integrated, retractable head and rubber hose that’s independent of the pump body there’s no chance of jarring and damaging the tyre valve while inflating and this mini pump features both Presta and Schrader heads making it one of the most versatile, user-friendly mini pumps available.